There are virtually a limitless number of factors that influence how an App will be ranked in the iTunes and Google Play App Stores. Everything from number of downloads and uninstallation rate, to the number of reviews you have and your average rating can dramatically affect your overall ranking position. 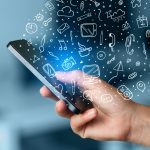 Before we begin to discuss these aspects in a more in-depth manner, you must first develop an appreciation for the importance of gaining an understanding of the online and offline thought processes of how users make decisions about installing new apps. Understanding the steps behind the decision making process for downloading and installing a new app can help you to better relate to your target audience and, in turn, create a more successful marketing plan to optimize your exposure in the App Stores. 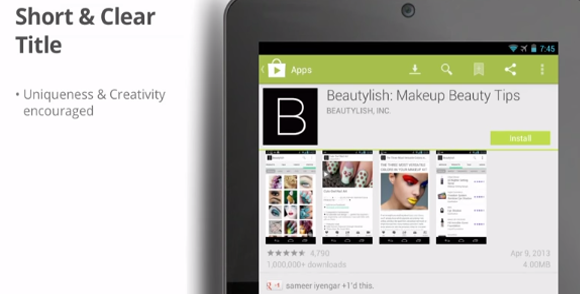 More than 50% of Android users will search the Google Play Store each week, looking for a new app to download. If you are not cashing in on this enormous amount of users that could potentially be installing your app, you’re wasting the opportunity of a potential marketing gold mine. While Navigational searching is somewhat popular with users, most search traffic is generated from Categorical searching, where the user knows what they want, but isn’t sure of any particular app. For instance, a gamer may want to install a casino style slot game, but they don’t know of any new apps on the market. In this case, the user may search “slots” in the search bar of the App Store. Determining what keywords are working best for your competitors can also give you a foot up when it comes to ranking for specific search terms. Many App Store Optimization tools allow developers to take a peak at competitor’s keywords. There may be some popular search terms that you haven’t even considered for your new app. Check out this example of what the infamous Clash of Clans uses for keywords. Logically, the first thing that comes to mind when you think about optimisng your app on Google Play or iTunes is to figure out how you can achieve the most amount of downloads in a short period of time. As far as marketing goes, incentivised burst campaigns are a great way to boost your download numbers over a short period of time (see Incentivized Mobile Installs). The better your overall statistics in the App Stores, the more likely you are to appear in suggested searches when users are browsing. Other factors to consider when attempting to boost your number of downloads is that users generally install apps smaller apps. By making your APK smaller, you are not only likely to get more installs, but your uninstall rate is also likely to decrease. As seen in the chart below, your initial number of downloads at launch will influence your ranking on the “Top New” lists, although it is important to note that you only have a 30 day window to capitalise on this. As we discuss in the following points, you will soon understand that while your number of downloads effects your exposure in App Store searches, there are also a number of other aspects that will determine your overall ranking – including your uninstall rate. The Google Play and iTunes App Stores are constantly collecting data about your app, including the number of users installing your app, but more importantly, the number of those users who are then uninstalling your app. Of course, the more installs you have, the higher in the ranking you will climb. The statistics surrounding your uninstall rate allow the App Store teams to determine whether or not users are having an enjoyable experience after initially downloading your app. An important aspect to take note of when it comes to your uninstall rate is that “long installs” are taken into consideration. This statistic ensures that game developers are not hurt by uninstalls after a period in time. For instance, your app may use 2GB of storage in someones mobile device, so after they have finished with your app the logical step is to uninstall to create more space on their phone – you will not be punished with negative uninstall rates in this scenario. Recent statistics play a huge role in the ranking position of your app. While you may have had negative uninstall rates in the past, the App Stores take into consideration the more recent behaviour of users. As an example, you may have made a recent update to your app to combat uninstall rates and now more users are enjoying your app and you are achieving long install periods. One thing that you may not be aware of when it comes to search rankings is that all incoming links to your App Store listing are considered when compiling your overall data for rankings. Nowadays, the majority of articles or blog posts that are published on the internet, relating to mobile games, feature a link to the App Store. Your incoming link will have more influence on your App Store statistics if it is coming from a trusted source on the internet, such as a reputable mobile gaming blog – including Venture Beat, Gamezebo and, of course, Brus Media. (Be sure to Contact Us if you would like your app featured on our site – App Store Link included!). Ensure that you are using helpful web anchors, as pictured below, if you are hoping to boost your search results through this method of optimisation. Now, more than ever, ratings and reviews greatly influence your exposure within the App Store. The “Recommended for you” section of the App Store allows users to view apps that are more likely to interest them, based on past downloads and reviews or ratings from friends on Google+. Meaning that it has never been more important to get good ratings in the App Stores. If you are a game developer who generally releases apps with similar gameplay style, your average rating and reviews could assist with redirecting users to more of your apps which the store predicts they will enjoy. Positive reviews and a good average rating will enable you to rank better in the app store, giving your more exposure in Categorical Searching. While this may seem like a slightly redundant statement, it’s something many developers need reminding of when creating and releasing their apps in to the app stores. The teams at Google and Apple focus on promoting quality games within their stores, rather than focusing on eliminating the exposure of glitchy or poor quality games. Metadata is the key to a high quality games in the eyes of both the Google Play and iTunes App Stores, with your app title being the key aspect. Of course you want something that is creative and unique, but it is also equally as important to ensure that your app title creates a clear message as to the style of app or service you are providing. Reinforcing your branding, while still providing information regarding what your app is about (see below) is the key to optimization in the App Stores. 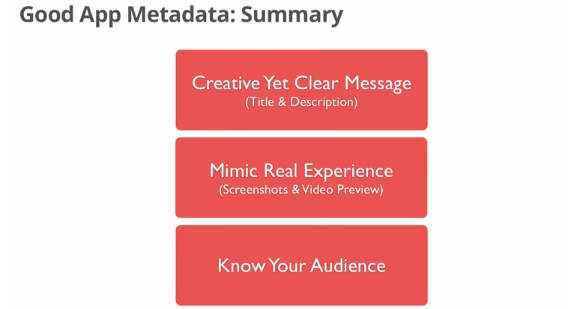 Secondly, the most important aspect of your metadata, following your unique title, is the description of your app. Your description, much like your title, should convey a clear and concise message that allows potential users to know exactly what your app is at a quick glance. It is important when building your description to think like your user, which will allow you to create content that is more appealing to your target audience. The goal of Google and Apple is to ensure that users are having the best experience possible when downloading new apps. Your uninstall rate will dramatically effect your ranking in searches, while your metadata will ultimately determine how much exposure your app receives. Please let us know what you category you may fall under. Angry Birds Action comes to iOS and Android devices!